Stong putter ideal for crazy golf and putting greens. Aluminium shaft with cast alloy head. Virtually unbreakable. Available in Junior Size as well. 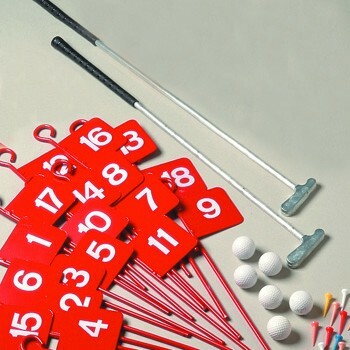 Shown with steel golf flags.